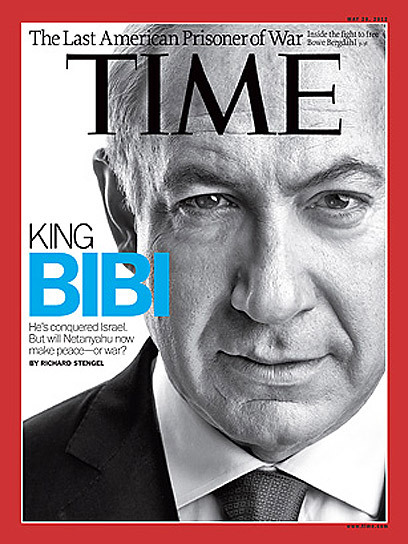 TIME Magazine devotes its cover story this week to PM Binyamin Netanyahu, who is named “King Bibi”. TIME Magazine devoted its cover story this week to Prime Minister Binyamin Netanyahu, who was named “King Bibi”, in a play on the name of famous blues artist B.B. King. The article was written by TIME’s managing editor Richard Stengel and it profiles Israel’s Prime Minister, explaining why he is “the King of Israel”. Stengel wonders whether Netanyahu will choose to make historical decisions, on both Iran and the peace process, now that he has a surer command over the Knesset with the unity deal that brought Kadima into the government. Written by Time Managing Editor Richard Stengel, the article, titled, “Bibi’s Choice,” explores the difficult decisions that Netanyahu will have to make in his efforts to secure the future of Israel, according to Ynet. “To be a historic figure, one must make history,” writes Stengel. However, Stengel notes that the prime minister will be facing difficult decisions in his efforts to secure the future of Israel. TIME’s cover story this week, written by TIME managing editor Richard Stengel, profiles Israel’s controversial Prime Minister Benjamin Netanyahu. 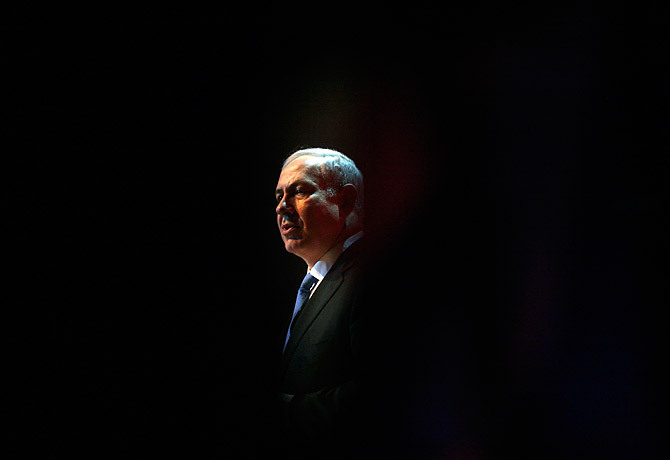 This past month has seen Netanyahu—referred to almost ubiquitously by his nickname Bibi—cannily consolidate power, brokering a coalition that pairs his Likud party and other right-wing allies with the more centrist Kadima. The deal deflects calls for fresh elections and gives him a virtual lock on Israel’s top job going forward. 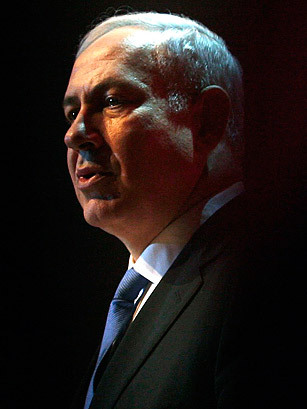 Israeli Prime Minister Benjamin Netanyahu made Time magazine’s 2012 list of the 100 most influential people in the world for the second year in a row. Netanyahu is called an “iconic, strong and determined leader who has excelled during a lifetime of service to the state of Israel” in a profile written by U.S. Rep. Eric Cantor (R-Va.), the majority leader in the House of Representatives. Israel has had its share of transformational leaders who are comfortable on the world’s stage, dealing with their nation’s often oversize challenges. Benjamin Netanyahu is one of these iconic Israelis, a strong, determined leader who has excelled during a lifetime of service to the state of Israel. Bibi’s accomplishments and service as a soldier, a diplomat, an economic reformer who took on the difficult and politically perilous task of challenging the status quo, and a two-time Prime Minister rank him among the world’s great leaders. etanyahu, 62, has provided a compelling and reasoned exposition of one of the gravest threats facing the world today. He deserves credit for drawing attention to the threat Iran poses to Israel, to America, to the region, to its own people and to the free world. Confronting Iran’s pursuit of nuclear weapons and sponsorship of terrorism is an urgent task for all of us. At this perilous moment, Prime Minister Netanyahu is the right leader for Israel — and the right partner for America.